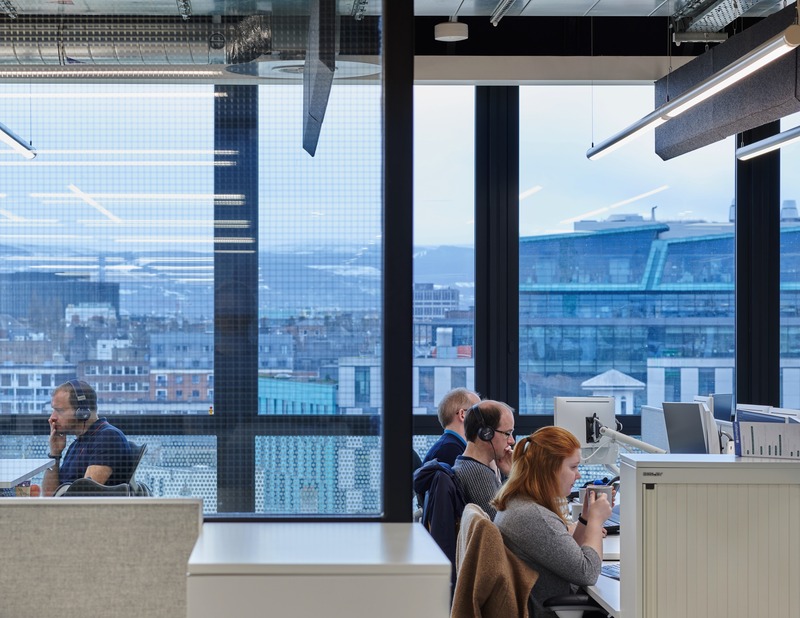 Located in the heart of Dublin’s vibrant SOBO district, Informatica’s European headquarters occupies 35,000 sq-ft at 1WML . 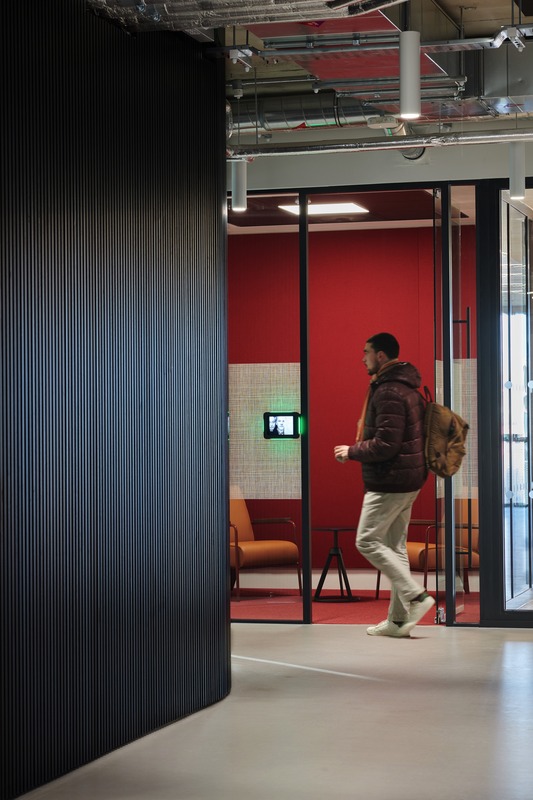 The sympathetic regeneration of an industrial area now hosting the city’s booming tech industry provides the ideal location for a mature tech company looking to find accommodation to support them for the next ten years. 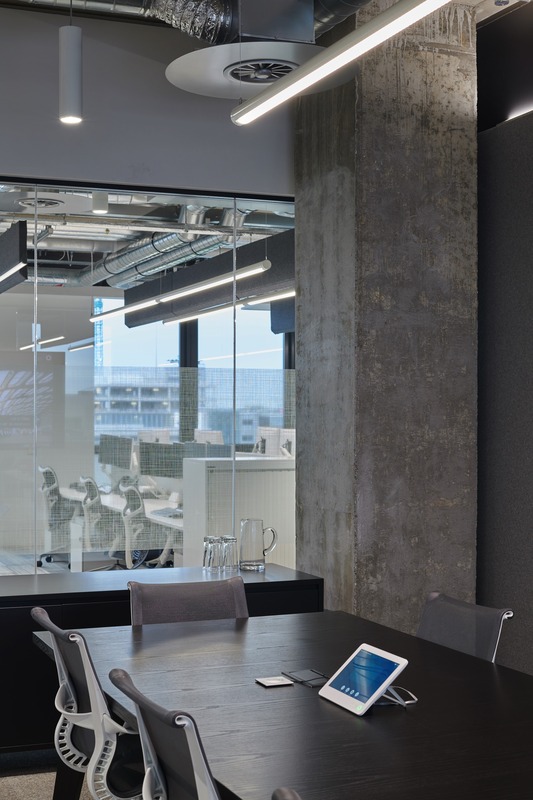 The repurposing of 1WML from a music studio into commercial office space retains much of the original character of the building and forms a key part of the design solution developed with M Moser. 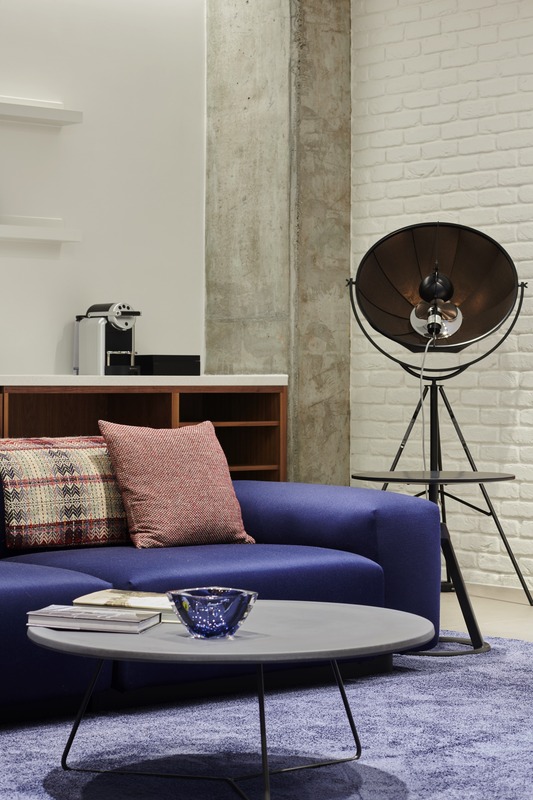 Original vinyl in reception reflect on the history of a site where U2 recorded “The Joshua Tree” album in 1987 and add context to the space - as do the numerous artworks by local artists. Entering through a narrow lift lobby, the symmetry of two black timber clad walls draws visitors towards reception at the opposite end of the space. 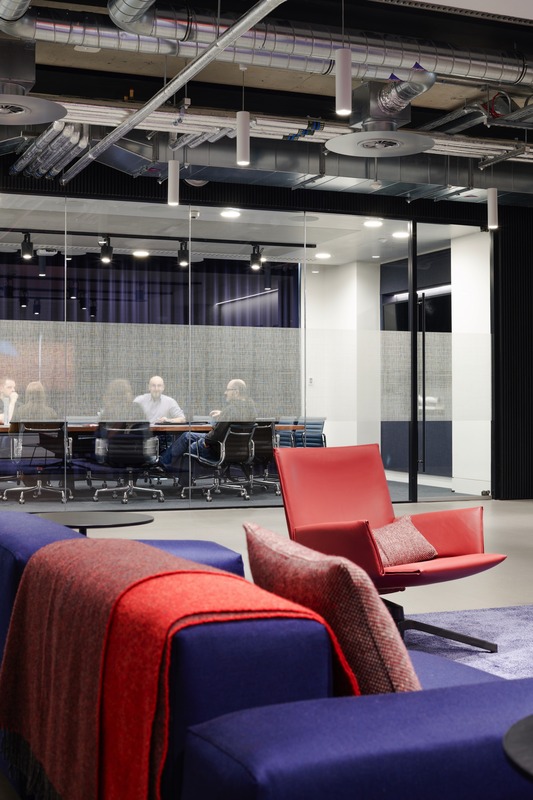 More comfortable, habitable pockets to either side punctuate the journey – a client facing boardroom and a waiting lounge that begin to introduce the tension created by the design concept. 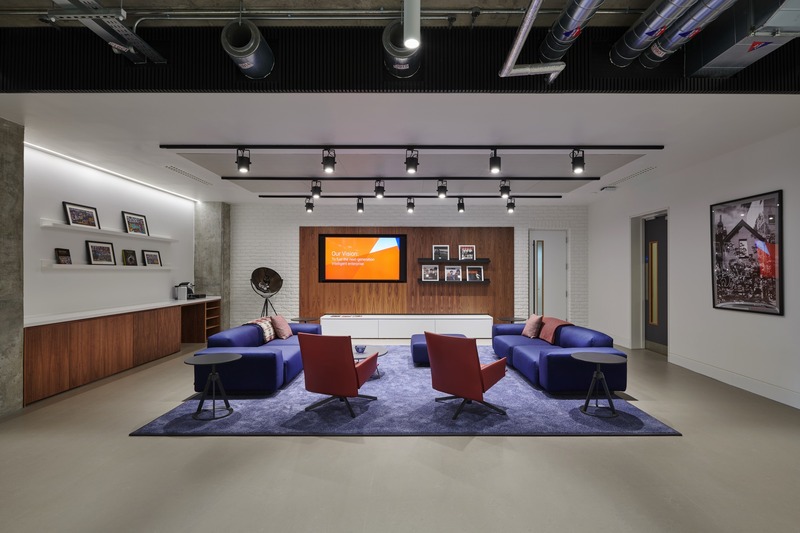 Aspirations for the project to align Informatica’s recently refreshed brand with the building led to the design concept “informed industrial” – the ubiquitous tech start-up aesthetic married with the refinement of a more mature organisation, a reflection on their market position. 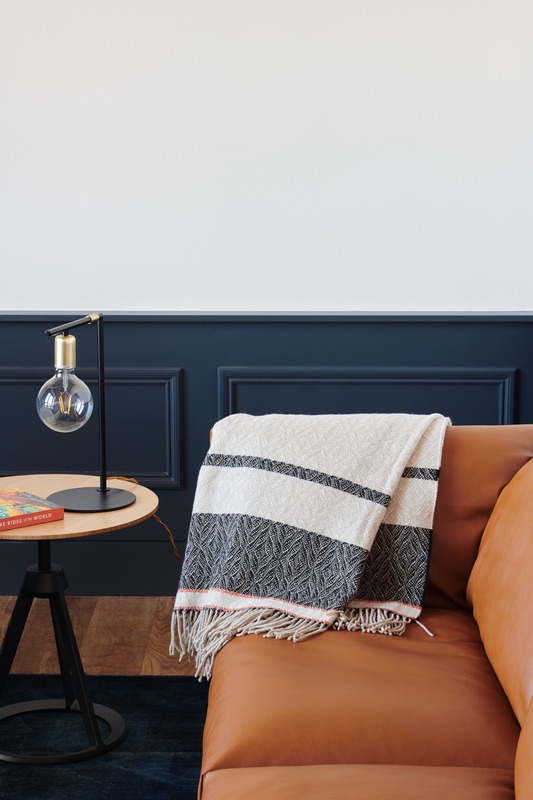 A contrast of raw and refined, together in one space. 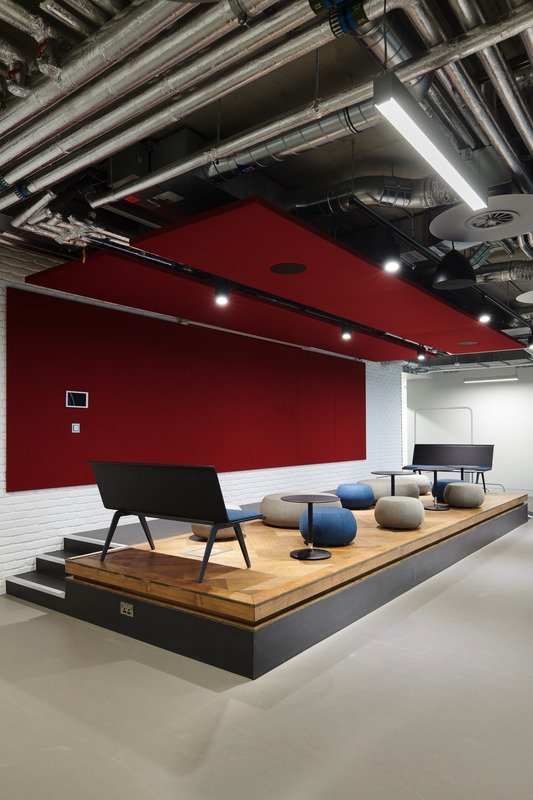 One member of staff commented that if the typical tech office was “shirt and jeans”, this space is like “shirt and jeans with a suit jacket”. 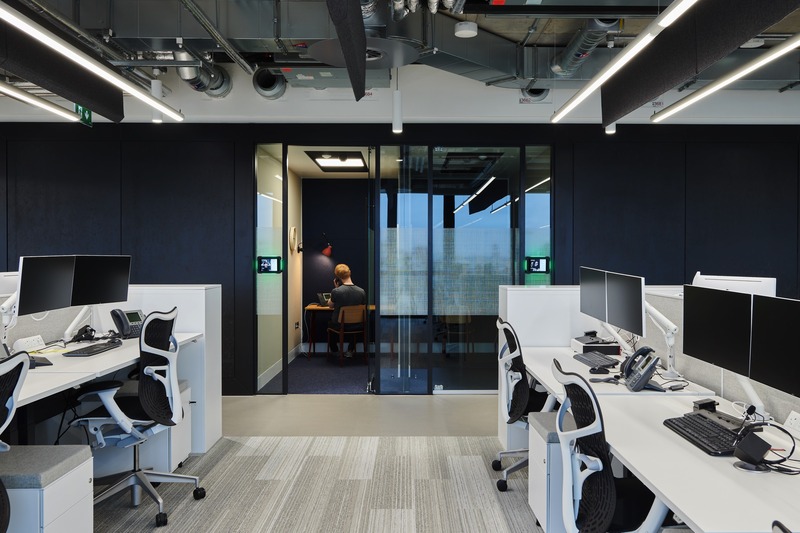 The layout of the space flows around the “spatial spine”; a core of amenities surrounded by workspace, says M Moser’s lead designer. 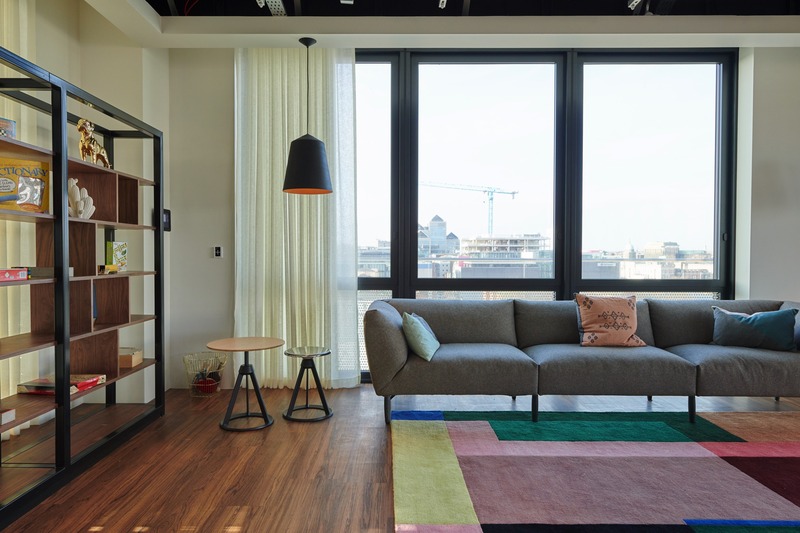 Centrally located cellular space provides maximum access to daylight, and makes the use of views across the city. The cellular spaces benefit too, co-locating them reduces cost of construction and their different orientations provide a variety of private and public space. 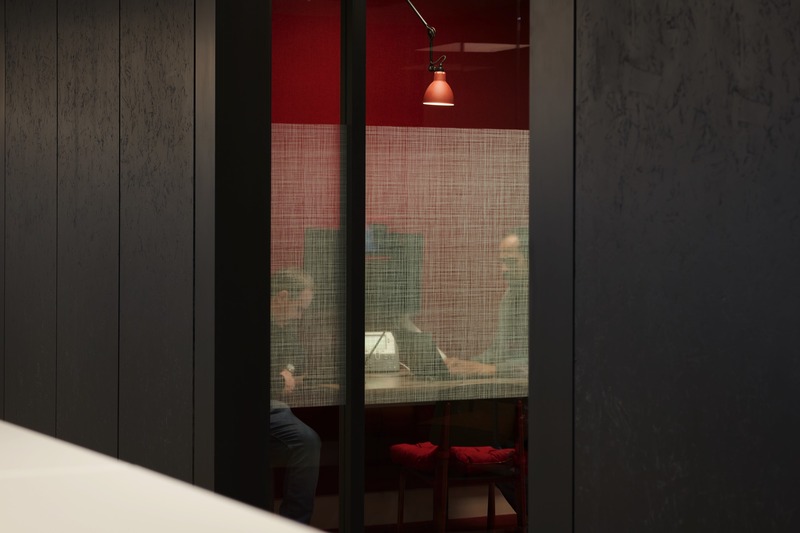 Some of the accommodation faces out towards the open-plan workspace providing easy access for teams, whereas phone booths and focus rooms face inwards to minimise distraction. 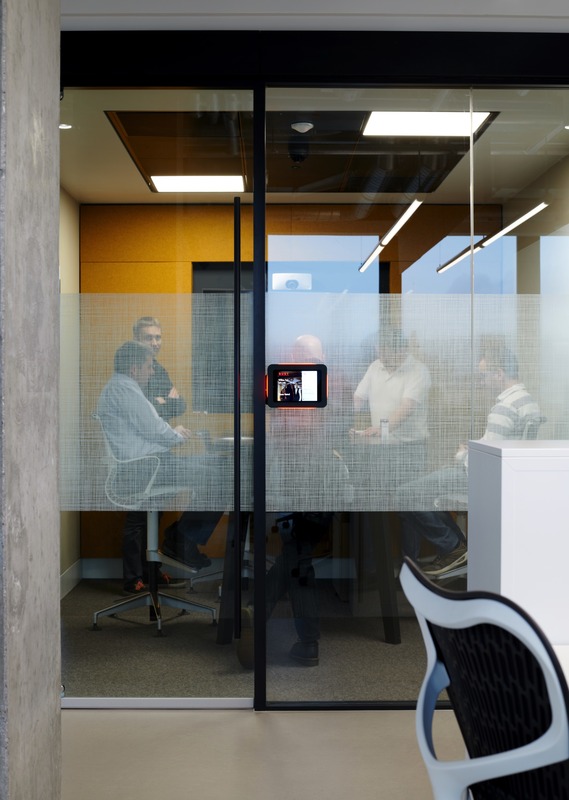 Informatica’s way of working is focused on function, captured by the effective use of space and careful planning for future expansion. 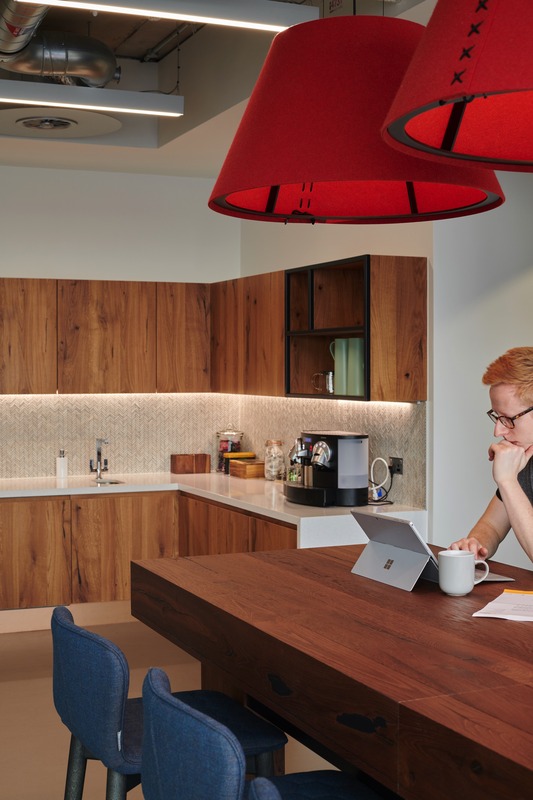 In a constantly connected work culture, taking a break means no devices. M Moser created a library space for quiet contemplation without the distraction of technology. This intimate room with armchairs, books and dimmable lighting is a step change from the buzz of the main office, providing space to think. 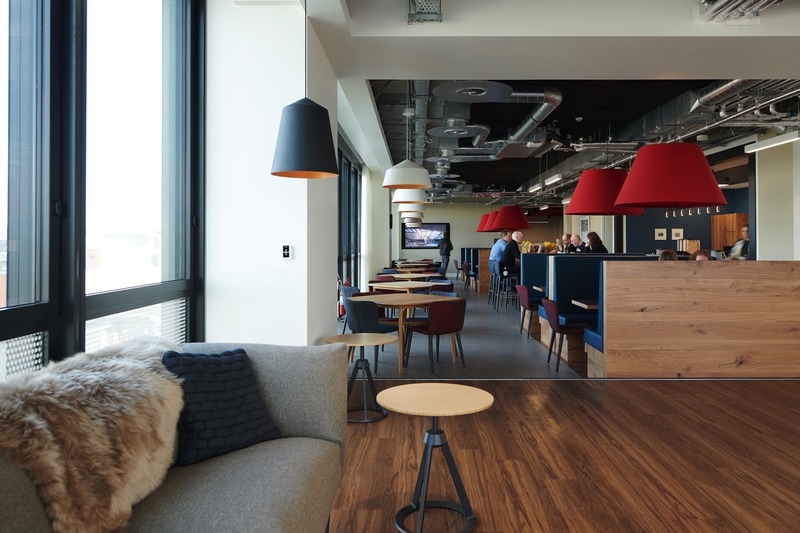 Balancing workspace with communal space allows staff to thrive, diversifying the work settings on offer. 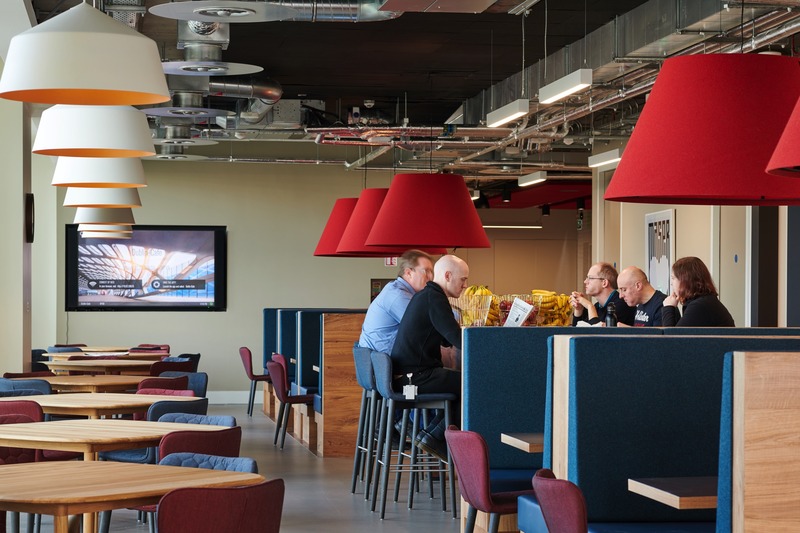 The expansive café is a lively social hub that brings staff and clients together, clearly expressing the energy of the organisation. 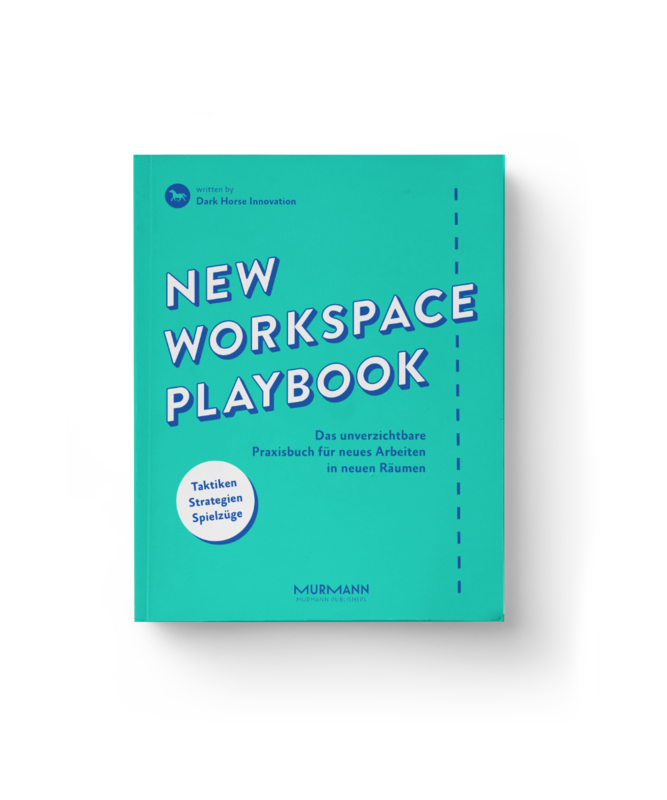 It also makes best use of space intended for workspace expansion in future years. 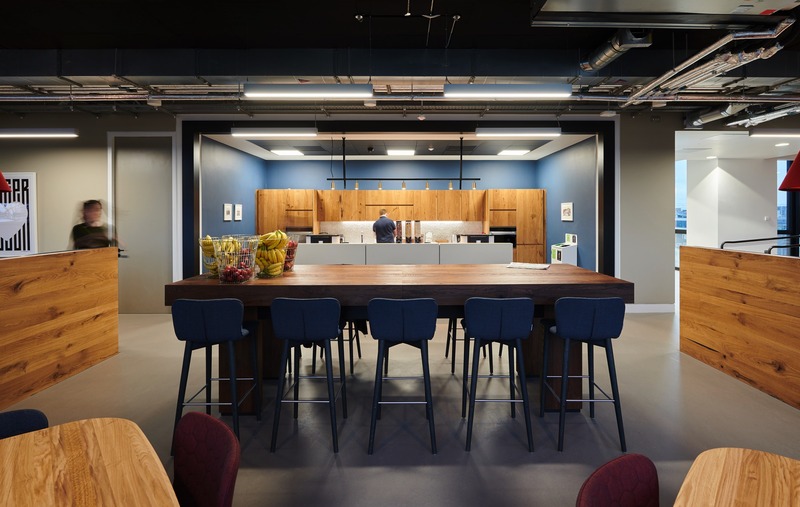 “Talking to our client four months after completion, we see how the Dublin space is performing as an effective headquarters, hosting regional meetings and receiving more guests - greeted with a fantastic reaction from both staff and clients. 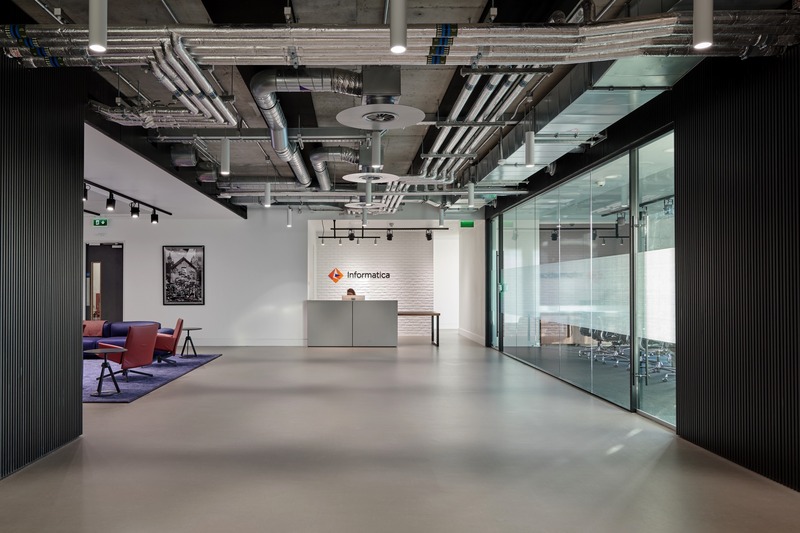 The project is a true representation of Informatica’s brand; the flexible design accommodates larger events and anticipates future growth in headcount” says M Moser’s project designer. 20% of carpet is made with sustainable materials and processes. Rated by GreenTag Silver Plus.